Bijou 1 & Bijou 2 are our Featured Neighborhoods. Click to see all the properties for sale. 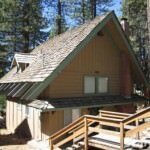 Price Changed to $81,000 in South Lake Tahoe! 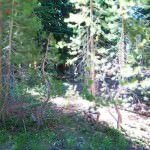 1557 Aztec Way South Lake Tahoe CA offered at $81,000Build your dream home in a quiet Tahoe neighborhood that has a true mountain feel. This is a level wooded lot with southerly views of 3 CA conservancy parcels. Seller is including house plans for a 2100+ square foot home. The lot is 10,500+ square foot lot that is appx 72' x 146'. Lot was surveyed a few years ago.&nbsp;Continue Reading! Price Changed to $335,000 in South Lake Tahoe! 1113 Tata Ln South Lake Tahoe CA offered at $335,000Large Price Reduction! Check out this Amazing opportunity! Modern Construction with Mountain Flair! Enjoy this gorgeous well maintained home built in 2003. Open floor plan with inviting kitchen and dining, 2 family rooms, granite counters, stainless appliances, and walk in pantry. Attractive high end laminate flooring installed last year with a 30 yr warranty. A large private master suite is upstairs with his and her's closets with shelving...Continue Reading! 1812 Jack Bell Ct South Lake Tahoe CA offered at $185,000This cozy, classic chalet exudes warmth and charm and is a short distance to the meadow. It features an open floor plan, vaulted, beamed ceilings and large windows. With 4 bedrooms plus a loft there is plenty of space for everyone. There is a large, open fireplace in the living room, lovely furnishings and wood flooring. The deck in back is spacious, sunny and has filtered meadow views. Extra large...Continue Reading! Price Change in South Lake Tahoe! 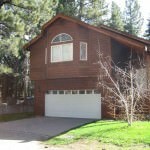 1113 Tata Ln South Lake Tahoe CA offered at $349,900Large Price Reduction! Check out this Amazing opportunity! Modern Construction with Mountain Flair! Enjoy this gorgeous well maintained home built in 2003. Open floor plan with inviting kitchen and dining, 2 family rooms, granite counters, stainless appliances, and walk in pantry. Attractive high end laminate flooring installed last year with a 30 yr warranty. A large private master suite is upstairs with his and her's closets with shelving...Continue Reading! 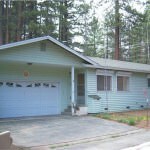 1067 Glen Rd South Lake Tahoe CA offered at $235,000Excellent location. Close to Heavenly, Lake Tahoe & the Casinos. Great for a primary, second home or a vacation rental. Extremely well maintained home. Kitchen is spacious and has a bar. It is open to the living room creating an excellent space for gatherings. 3 bedrooms and 2 baths with large 2 car garage. Low maintenance vinyl siding & natural landscape. High end shutters...Continue Reading! 1113 Tata Ln South Lake Tahoe CA offered at $369,900Large Price Reduction! Check out this Amazing opportunity! Modern Construction with Mountain Flair! Enjoy this gorgeous well maintained home built in 2003. Open floor plan with inviting kitchen and dining, 2 family rooms, granite counters, stainless appliances, and walk in pantry. Attractive high end laminate flooring installed last year with a 30 yr warranty. A large private master suite is upstairs with his and her's closets with shelving...Continue Reading! Spring in Tahoe Brings America's most beautiful bike ride! Nearly 3,000 cyclists from throughout the United States come to Tahoe to ride around the Lake. For the majority of the riders appx 2,000, are here as a commitment to help people inflicted with the Leukemia/Lymphoma disease. Each dedicated rider has raised at least $4,000 to be here. Some have raised hundreds of thousands of dollars to help fund the research to discover a cure for these deadly diseases. This event is the largest...Continue Reading! 1113 Tata Ln South Lake Tahoe CA offered at $379,900Modern Construction with Mountain Flair! Enjoy this gorgeous well maintained home built in 2003. Open floor plan with inviting kitchen and dining, 2 family rooms, granite counters, stainless appliances, and walk in pantry. Attractive high end laminate flooring installed last year with a 30 yr warranty. A large private master suite is upstairs with his and her's closets with shelving systems. Second family room on lower level with 2...Continue Reading! 1067 Glen Rd South Lake Tahoe CA offered at $249,900Excellent location. Close to Heavenly, Lake Tahoe & the Casinos. Great for a primary, second home or a vacation rental. Extremely well maintained home. Kitchen is spacious and has a bar. It is open to the living room creating an excellent space for gatherings. 3 bedrooms and 2 baths with large 2 car garage. Low maintenance vinyl siding & natural landscape. High end shutters...Continue Reading! 1113 Tata Ln South Lake Tahoe CA offered at $399,900Modern Construction with Mountain Flair! Enjoy this well maintained home that sits on a large, fenced level lot. This 2003 home features an open floor plan, upstairs living, granite counters, stainless appliances and walk in pantry. Attractive laminate high end wood style floors were installed last year. A large master suite is upstairs. Second family room and 2 bedrooms downstairs. Large flat back yard with pine trees....Continue Reading!